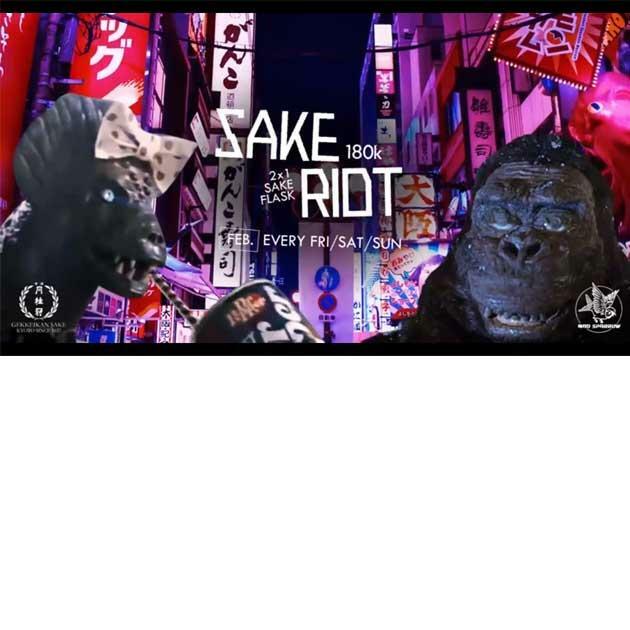 SAKE RIOT is the art of basking in Mad Sparrow - BALI's house sake on the weekends. Every FRIDAY + SATURDAY + SUNDAY, we offer 180k for 2 for Sake by the flask ALL NIGHT LONG. Round up the gang, loved ones, favourite humans and family. Every excuse to savour the feast is a bloody good excuse. JOIN THE RIOT! Fun Fact: SAKE IS GLUTEN FREE!